If you are like most people, you�re not sure what Postmodernism is. And if this were like most books on the subject, it probably wouldn�t tell you. Besides what a few grumpy critics claim, Postmodernism is not a bunch of meaningless intellectual mind games. On the contrary, it is a reaction to the most profound spiritual and philosophical crisis of our time � the failure of the Enlightenment. Jim Powell takes the position that Postmodernism is a series of �maps� that help people find their way through a changing world. 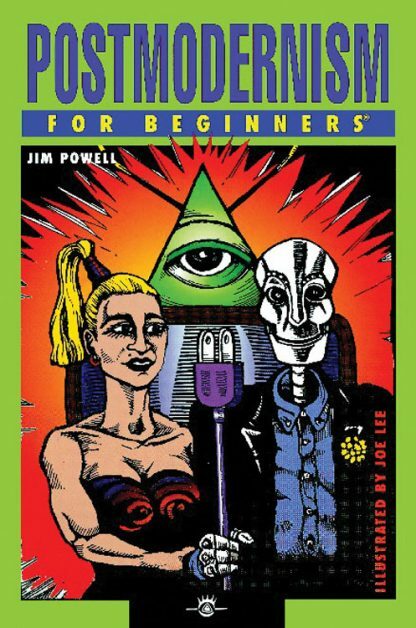 Postmodernism For Beginners features the thoughts of Foucault on power and knowledge, Jameson on mapping the postmodern, Baudrillard on the media, Harvey on time-space compression, Derrida on deconstruction and Deleuze and Guattari on rhizomes. The book also discusses postmodern artifacts such as Madonna, cyberpunk, Buddhist ecology, and teledildonics.